Nobrow 10 Launch Party At Gosh! 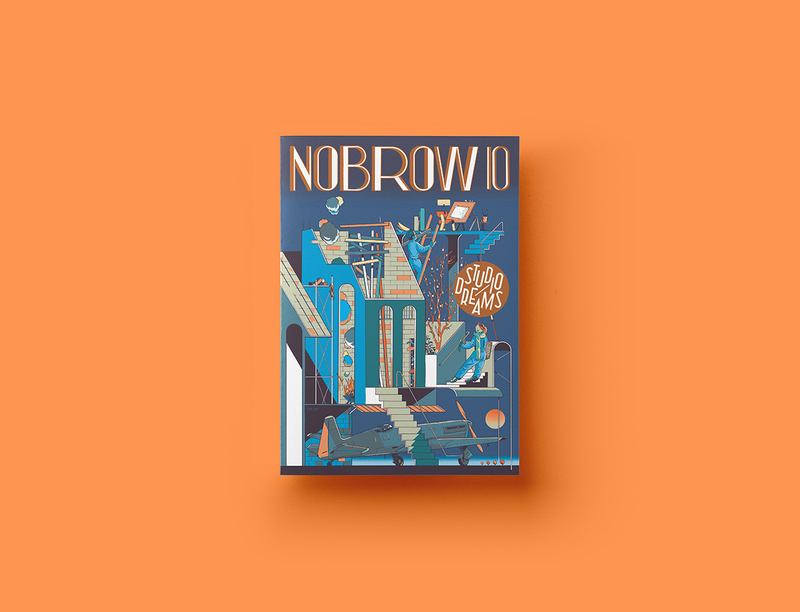 Nobrow is delighted to announce the launch party of the latest edition of our Nobrow magazine, Nobrow 10! It’s already been 10 years since we started this amazing adventure! 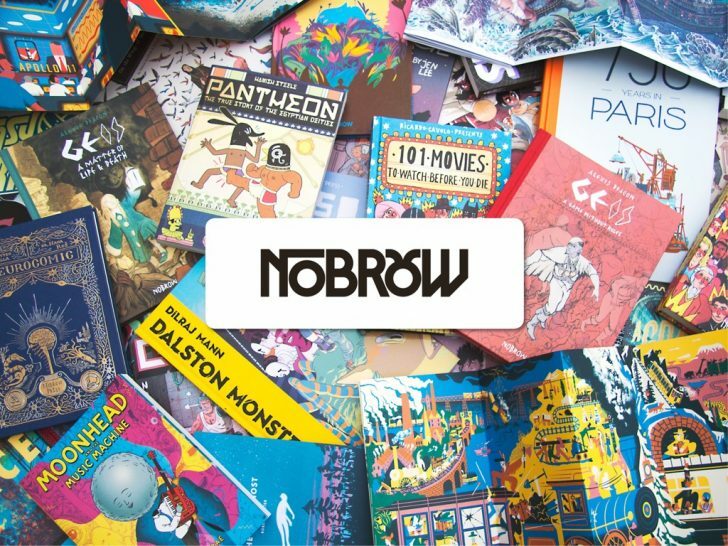 To celebrate it we are curating an extra special edition of the Nobrow magazine. This special edition features 70 artists responding to our curious theme of “Studio Dreams”. In 2010, we commissioned Jan Van der Veken to illustrate our dream studio and his illustration provided the perfect starting point for this 10th edition. World-renowned creators turn their hand to creating their dream studio spaces in this unique, international showcase containing over 100 pages of illustration. 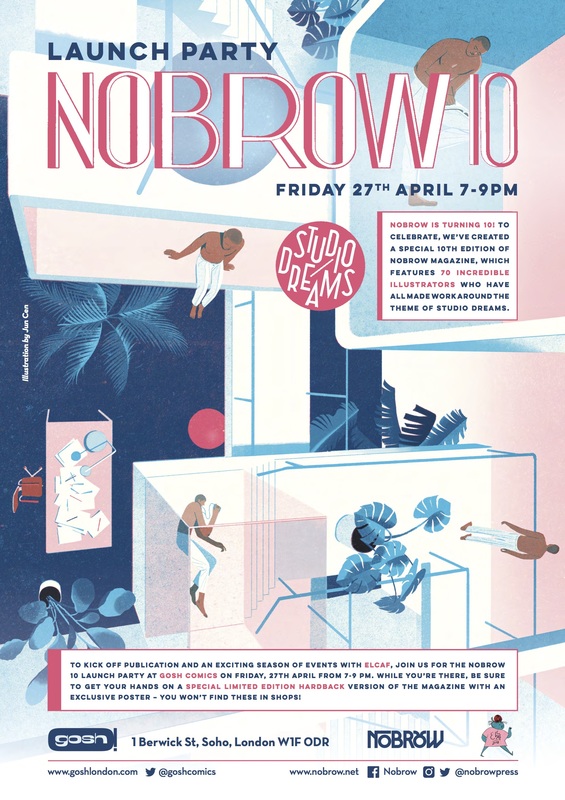 Join us to celebrate the launch of this special 10th anniversary edition of the Nobrow Magazine, on Friday 27th from 7 to 9pm at Gosh! Comics. 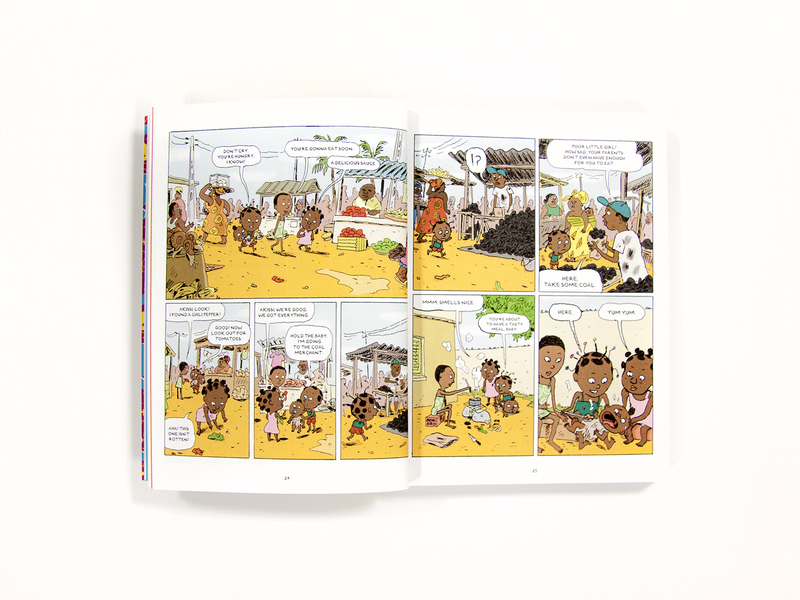 After the success of Aya of Yop City comics, published by Gallimard BD, the Ivorian author Marguerite Abouet brings back her best childhood memories with Akissi : Tales of Mischief. 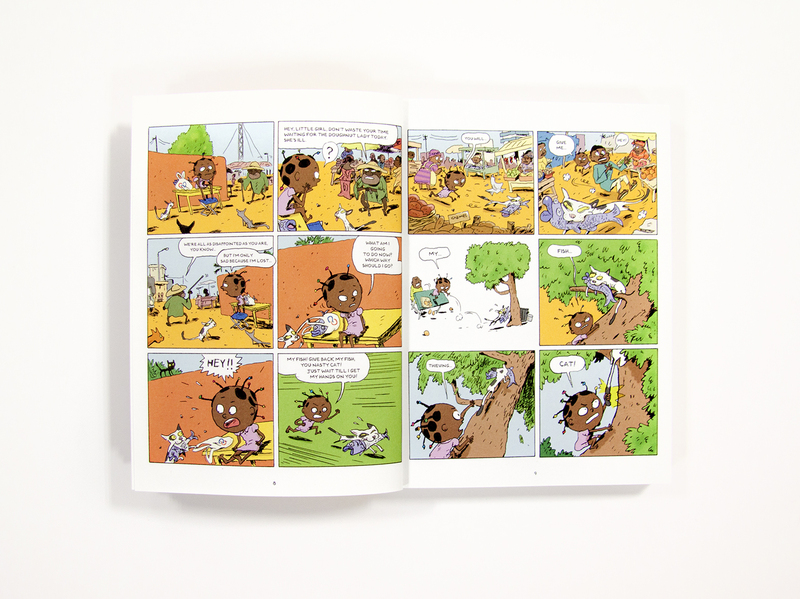 An expanded paperback edition with new, hilarious stories that Marguerite Abouet and Mathieu Sapin, the illustrator, took time to tell us a bit more about – giving us an insight into their work and this cheeky little girl. 1. You were born in Abidjan and you grew up there until you were 12 years old, does Akissi represent a younger version of you? 2. How did you work together to find the right chemistry between text and image? 3. What special research did you carry out to be able to recreate Akissi’s world? 4. 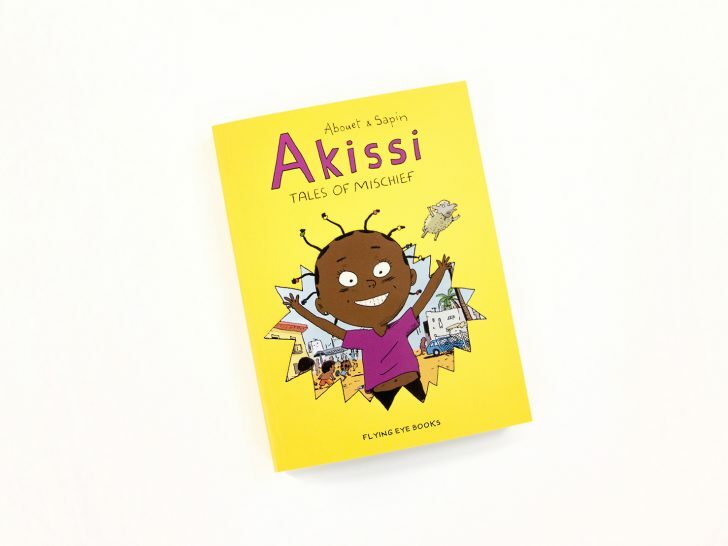 Akissi is a true adventurer, she’s always getting into trouble and we feel that every child could relate to her character in their own way although she’s from a culture and community that may be very different from their own. Is that something you particularly wanted to represent? 5. How does it feel to see Akissi’s stories being translated into different languages? 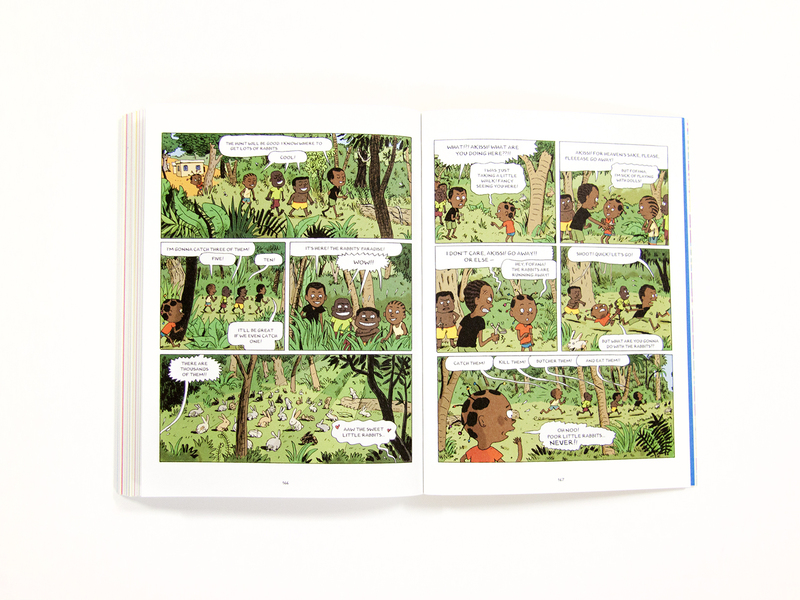 And how have children from around the world responded to her tales? Stop by the Nobrow booth at MoCCA this weekend! Calling all comics art lovers! Come by the Metropolitan West (639 W 46th St, New York, NY 10036) this weekend to visit the Nobrow booth at MoCCA—the Museum of Comic and Cartoon Arts Festival. We’ll be there on April 7th and 8th at booths F 215 and 216. 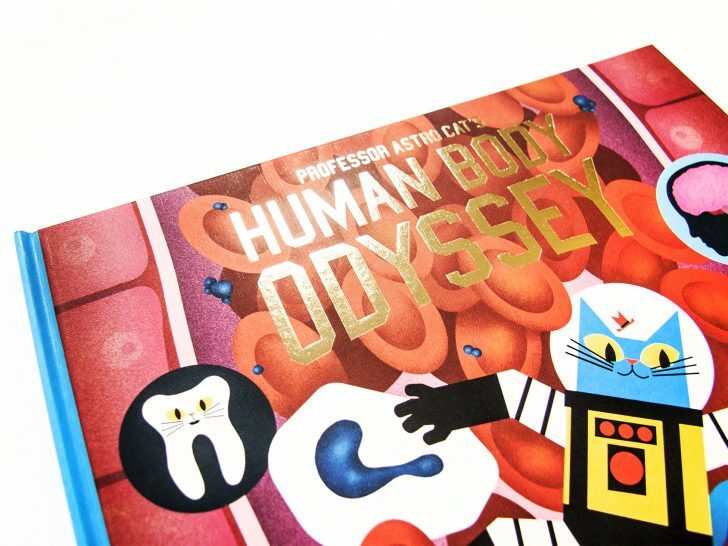 Stop by to sign up for a raffle to win a collectable Hilda art figurine, and to take a look at our fresh titles for Spring 2018, including The King of the Birds, Akissi: Tales of Mischief, Professor Astro Cat’s Human Body Odyssey, and Under the Canopy. We’ll have old favorites at the booth too, including Pantheon, the Fantasy Sports series, and everything Ricardo Cavolo. See you there!